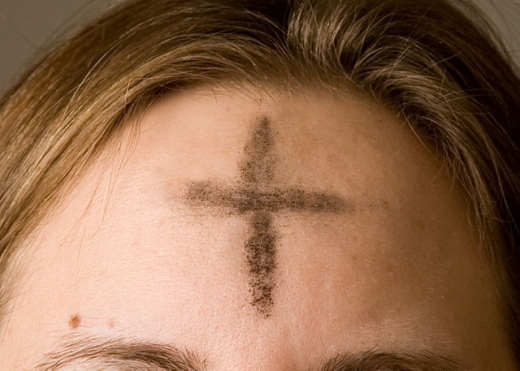 Christians have traditionally put ashes on their foreheads in the shape of a cross as a reminder of our need for repentance and forgiveness. The words (based on Genesis 3:19) used traditionally to accompany this gesture are: "Remember that you are dust, and to dust you will return. But the steadfast love of the Lord endures forever." Participating in that act, we are reminded of our mortality and our need for God's love. Much of what we invest ourselves in is temporary; only our life in Christ is what truly matters in this world and the next. 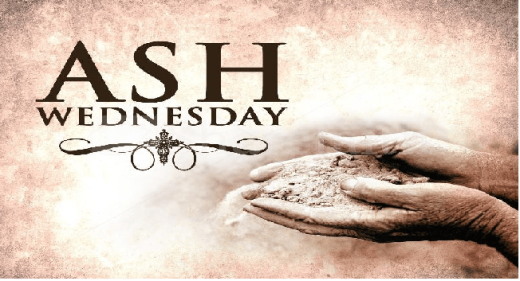 The ashes are first, a sign of humility (originally dust on the forehead was an indicator that one had bowed her or his head all the way to the ground in repentance and prayer before God) and second, a reminder that it is in Christ's cross that we have access to unending life. 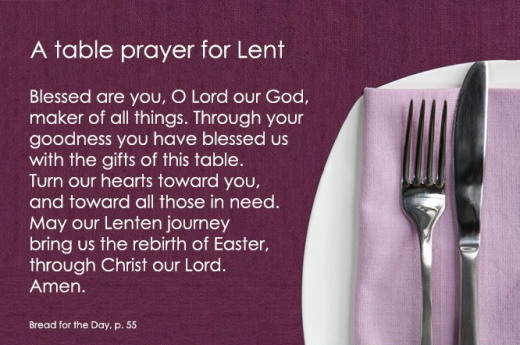 Throughout the season of Lent many people participate in acts of discipline to prepare for the Easter celebration and the resurrected life we share with Christ Jesus, our Lord. Almighty and everlasting God, you hate nothing you have made and forgive the sins of all who are penitent: Create and make in us new and contrite hearts, that we, worthily lamenting our sins and acknowledging our wretchedness, may obtain of you, the God of all mercy, perfect remission and forgiveness; through Jesus Christ our Lord, who lives and reigns with you and the Holy Spirit, one God, for ever and ever. I am writing to you because I am not the person I used to be. Something happened, in the core of who I am. I have experienced the transforming work of the Holy Spirit. The person I am is so different from the person I would otherwise be, I wouldn't know that person if I were to meet him. You can't explain this by calling it “religion.” I am not a follower of social conventions or ritual, or easily persuaded by emotion. I am an analytic person; my Myers-Briggs indicator is INTP. I am different because a transforming power came into my life. I have a presence with me at all times. I have an overwhelming experience of this same presence at certain times. It is an experience of love and joy. It is him. It is not like any other feeling I have ever experienced. It is the most fulfilling experience in my life. I was reading an article written about Denzel Washington, about this same experience he had over 30 years ago. I assume it's the same, because it's similar to my experiences, through the same faith in Jesus Christ. His life was forever changed. Mine was also, and those of uncounted millions across the last 2000 years. Christianity is not simply an idea. It is the activity of God in the lives of his children. It is not a religion—or at least, it is not intended to be one. It is a series of priorities that start with trusting and obeying God, as he has revealed himself in the pages of scripture. That does imply a way of living, but it is not a list of rules. It is not so much what you do as who you become, and why. In trusting him, he offers something to you. It's more than a promise of life after death, it's his actual presence within us (John 20:22; Acts 2:38-39; John 14:16; Romans 5:5; 8:9; Ephesians 1:13-14). As Paul writes in 2 Corinthians 3:17-18, the Spirit brings freedom to the core of who we are, not ritual. The Spirit of God within me is changing me into his own image. The book of Acts is about the transforming work of the Holy Spirit in the lives of the first Christians. The best way to describe the gift of the Spirit is power (Acts 1:8). Our experience of him in our lives, at the point we trust God and receive him, should also be power. I do not think the experiences we read about in the first few chapters of Acts are intended to suggest that ours will be identical. This is a kickoff event. But I do believe that the Holy Spirit is so powerful, in all times and for all who believe, that you cannot help but know he is there. Through the Spirit, God can do miraculous works in our lives, if he chooses. I believe he does so choose. 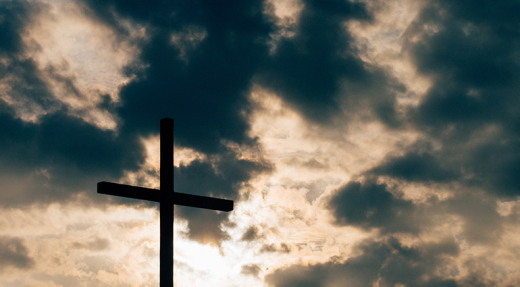 We could not have the results of his work within us (Galatians 5:22-23) and not also have a tangible, powerful, and emotional connection to him. Paul writes in Ephesians 5:18-19 that we should not get drunk on wine, but instead be filled with the Spirit. I've heard this explained as two types of “control,” that Paul is saying we should not be controlled by wine but instead be controlled by the Holy Spirit. That isn't the dominant point here (though it is true). We don't normally pursue drunkenness and debauchery for a loss of control, and neither would the readers. We become drunk for the experience of being drunk. That experience can lead to debauchery (corrupt and sexual behavior). Paul is saying the experience we should pursue is of being filled with the Spirit, which leads to worship, song, and praise to God. Paul is not talking about control, he is talking about an experience. If you've had a tangible experience of the Spirit, being overwhelmed by his presence, you know what he means. Christianity is not an experience to add to your list. That's not how this works. The Spirit is a gift to all who believe. But we need to stop thinking about our faith as a religion and start thinking about it as a powerful, tangible connection to the Lord our God. To experience his filling, you need to submit to him and long for his purposes. You need to stop giving in to bodily habits that undermine his work in your life (Romans 8:12-16). If you want more of the Spirit, you must offer more of yourself. That is how you become filled. I can assure you, there is no better trade-off. Fill me with your Spirit, O Lord. Transform me at the core of who I am. Let me experience your presence. Lead me in the path of holiness, and empower me for service in your name. Amen. Jesús dijo: El ladrón no viene más que a robar, matar y destruir; yo he venido para que tengan vida, y la tengan en abundancia. If you want to try a contest in your home, how about seeing who can out-serve the other! The apostle Paul encourages: “Don’t just pretend to love others. Really love them. Hate what is wrong. Hold tightly to what is good. Love each other with genuine affection and take delight in honoring each other” (Romans 12:9-10 NLT). So God-made-man wrapped a towel around His waist and did what no one else was willing to do. He washed the disciples’ feet. Afterward, He sat down and said, “Now that I, your Lord and Teacher, have washed your feet, you also should wash one another’s feet. 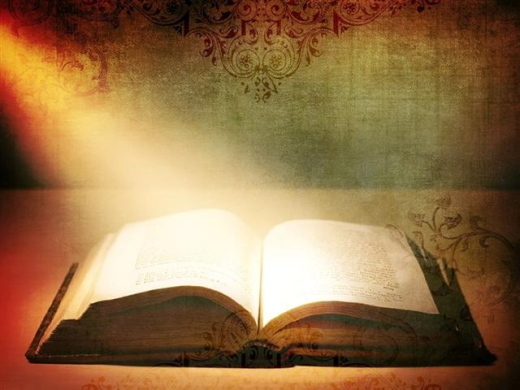 I have set you an example that you should do as I have done for you” (John 13:14-15 NIV). Jesus said, “Give, and it will be given to you. A good measure, pressed down, shaken together and running over, will be poured into your lap. 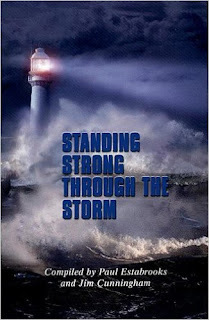 For with the measure you use, it will be measured to you” (Luke 6:38 NIV). It may be entirely possible for you to serve your husband and not feel you are receiving anything in return. However, your heavenly Father is always watching, and the measure you use to bless your husband will be used by your heavenly Husband to bless you in return. Isn’t marriage great! OK, I hear you. Sometimes it is and sometimes it isn’t. That’s why I’ve created 5 downloadable resources to help strengthen your marriage and your man. Click here for the FREE downloads. 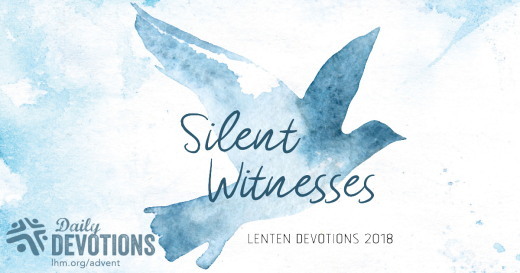 LHM Devotion - February 14, 2018 "Saved Through Water"
Water is hard to talk about because it carries so many meanings. Water is a symbol of life -- before birth we develop in the water of our mothers' bodies, and gushing water is a sign that a baby is about to be born. After birth we depend on water for life and health -- few people can live more than three days without drinking, and who would want to go unwashed that long? But water is also a symbol of death. 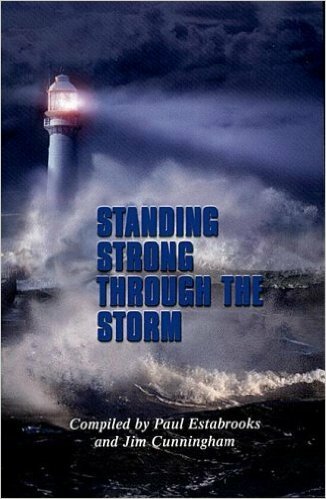 People drown when floods come, or when waves or riptides sweep them away. And diseases that cause too much fluid in the brain, the heart, or the lungs can kill even on dry land. Maybe this is why Jesus chose water to mark the beginning of His public ministry. When John baptized Him, Jesus went down into the water and came back up out of it again. He foreshadowed what He was going to do at the end of His public ministry. At that time, He freely went down into death to save us all -- and then rose out of it, back to life again. Jesus led the way for all of us through His Baptism. Paul reminds us, "Do you not know that all of us who have been baptized into Christ Jesus were baptized into His death? We were buried therefore with Him by Baptism into death, in order that, just as Christ was raised from the dead by the glory of the Father, we too might walk in newness of life" (Romans 6:3-4). Here, at the beginning of His ministry, Jesus leads the way through the waters of life and death. He offers us new birth through Baptism into the Name of the Father, the Son, and the Holy Spirit. There is death there, yes -- death for our old sinful nature, death for the evil that clings to us so closely and infects our hearts and minds. And that is frightening. But it is so worth it. Through Baptism, Jesus gives us everlasting life and joy as God's own beloved children, both now and on the day He returns to raise us all from the dead. THE PRAYER: Lord Jesus, thank You for Your gift of life through Baptism. This day and always, drown out the sin in my life and raise me up to live with You in joy and peace. Amen. Water is hard to talk about because it carries so many meanings. Devocional del CPTLN de 14 de Febrero de 2018 "SALVADOS A TRAVÉS DEL AGUA"
"SALVADOS A TRAVÉS DEL AGUA"
En cuanto Jesús salió del agua, vio que los cielos se abrían y que el Espíritu descendía sobre él como una paloma. El agua tiene tantos significados, que es difícil hablar sobre ella. Es un símbolo de vida: nos formamos y desarrollamos en agua dentro del cuerpo de nuestra madre; cuando llega el momento de nacer, un torrente de agua da el aviso. El agua es indispensable para la vida y la salud: pocas personas pueden vivir más de tres días sin beber agua, ¿y quién quiere pasar muchos días sin poder lavarse? Pero el agua también es un símbolo de muerte. Hay personas que mueren en inundaciones o debido a la fuerza de las olas o corrientes marinas. Y las enfermedades que llenan el cerebro, el corazón o los pulmones de agua también pueden matar, incluso estando en tierra seca. Quizás sea por eso que Jesús eligió el agua para marcar el comienzo de su ministerio público. Cuando Juan lo bautizó, Jesús se sumergió en el agua y volvió a salir. Esto es un simbolismo o prefigura de lo que iba a hacer al final de su ministerio público, cuando libremente fue a la muerte para salvarnos y luego resucitó nuevamente a la vida. Jesús nos mostró el camino a través de su Bautismo. El apóstol Pablo nos recuerda: "¿No saben ustedes que todos los que fuimos bautizados en Cristo Jesús, fuimos bautizados en su muerte? Porque por el bautismo fuimos sepultados con él en su muerte para que, así como Cristo resucitó de los muertos por la gloria del Padre, así también nosotros vivamos una vida nueva" (Romanos 6:3-4). Al comienzo de su ministerio Jesús nos muestra el camino a través de las aguas de la vida y la muerte y nos ofrece un nuevo nacimiento a través del Bautismo en el nombre del Padre, del Hijo y del Espíritu Santo. La muerte sigue estando, sí; la muerte por nuestra vieja naturaleza pecadora, por el mal que nos acosa e infecta nuestro corazón y mente. Y eso nos asusta. Pero Jesús ya conquistó la muerte y, a través del Bautismo, nos hace hijos amados de Dios y nos promete la vida eterna junto a él. ORACIÓN: Señor Jesús, gracias por el don de la vida a través del Bautismo. En este día y cada día de mi vida, ahoga el pecado que hay en mí y levántame para vivir contigo en gozo y paz. Amén. El agua tiene tantos significados, que es difícil hablar sobre ella. Нещодавно моя подруга готувалась до переїзду в інше місто, яке розташоване за тисячі миль від її рідної домівки. Щоб упоратися в найкоротший термін, вона та її чоловік вирішили розділити обов’язки. Поки чоловік займався пошуком нового житла, вона пакувала речі. Я була дуже здивована тим, що моя подруга була згодна переїхати до нового будинку без попереднього його огляду. Я запитала в неї, як таке можливо. Подруга визнала, що це було непросто, але вона цілком довіряє своєму чоловікові, тому що протягом усього їхнього спільного життя він завжди приділяв велику увагу її вподобанням та потребам. У світлиці Господь попередив Своїх учнів, що на Нього чекає зрада й смерть. Ісуса Христа та Його учнів очікували найчорніші дні. Тому Він втішав їх, запевняючи, що приготує для них на небесах місце. Коли учні висловили свої сумніви, Ісус нагадав їм про той шлях, який вони пройшли разом; про ті чудеса, що Він учинив перед їхніми очима. І хоча на них чекає великий смуток через смерть їхнього Вчителя, вони можуть цілком розраховувати на те, що Він вчинить саме так, як сказав − приготує їм небесну оселю. Навіть у найчорнішу годину ми можемо вірити, що Христос проведе нас крізь усі випробування до місця вічного щастя. Якщо ходимо з Ним, то все більше вчимося довіряти Його вірності. Господи, допоможи покладатися на Тебе, коли життя здається таким непевним та важким. Ти – благий Бог, Якому можна довіряти. Можемо твердо вірити, що Бог проведе нас крізь будь-які негаразди. Нещодавно моя подруга готувалась до переїзду в інше місто, яке розташоване за тисячі миль від її рідної домівки.